Bad news, fight fans. 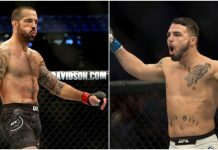 Just a little over 24 hours removed from the news that Tony Ferguson has been forced out of his scheduled UFC 223 showdown with Khabib Nurmagomedov and replaced by Max Holloway, we’ve lost another high profile bout, as Matt Brown has been forced out of his ultra-violent UFC Glendale showdown with Carlos Condit. News of Brown’s withdrawal from this April 14 bloodletting, which is due to an ACL tear, was first reported by MMAFighting‘s Ariel Helwani. Per Helwani’s report, the UFC is actively seeking a replacement opponent for Condit. The good news is that, with a little over two weeks between us and the Glendale card, there’s a good chance they’ll be successful on this mission. They did, after all, find a replacement opponent for Nurmagomedov just 6 days out from UFC 223. 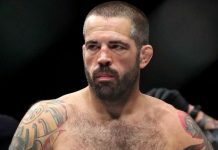 Matt Brown last fought in November, when he thumped Diego Sanchez in a 2017 knockout of the year contender. This win was preceded by stoppage losses to Donald “Cowboy” Cerrone, Jake Ellenberger and Demian Maia. He’s 21-16 in sum. Carlos Condit, meanwhile, last fought in December, when he gave up a decision to Neil Magny in his long awaited return to the cage. In his next most recent bouts, he succumbed to a Demian Maia submission, and gave up a ridiculously close decision to then champion Robbie Lawler. He’s 30-11 overall. 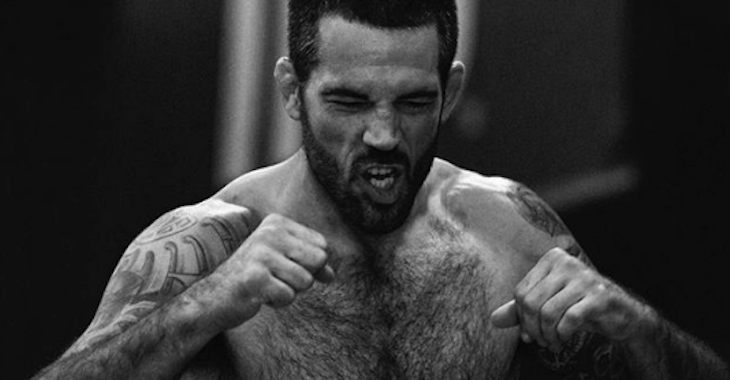 Who would you like to see Carlos Condit fight with Matt Brown out?